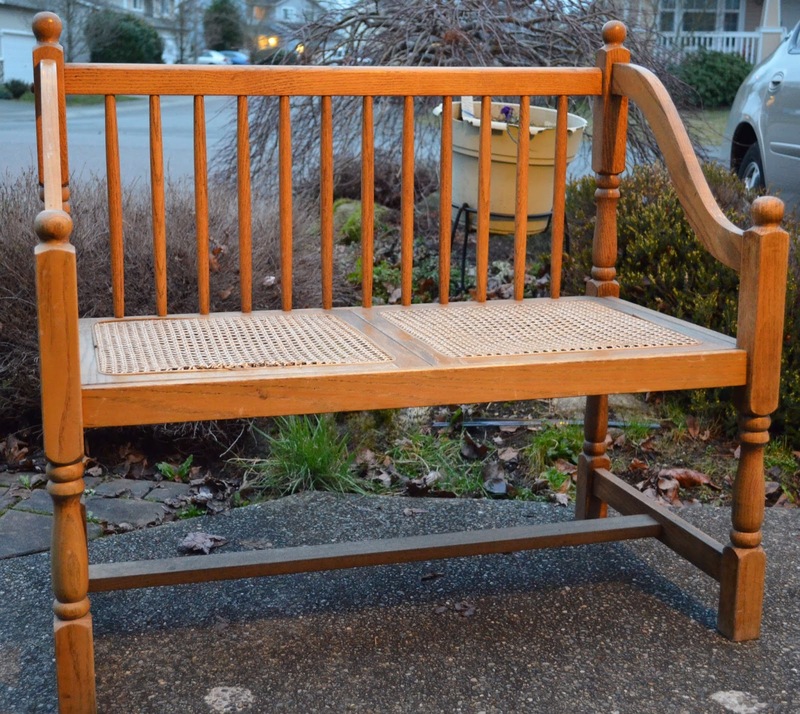 I bought this bench off of craigslist. It had spent a lot of time outside but was generally in good condition. I had to glue the seat trim down and give it a good cleaning, that was easy enough. I tried a new technique for mixing it. 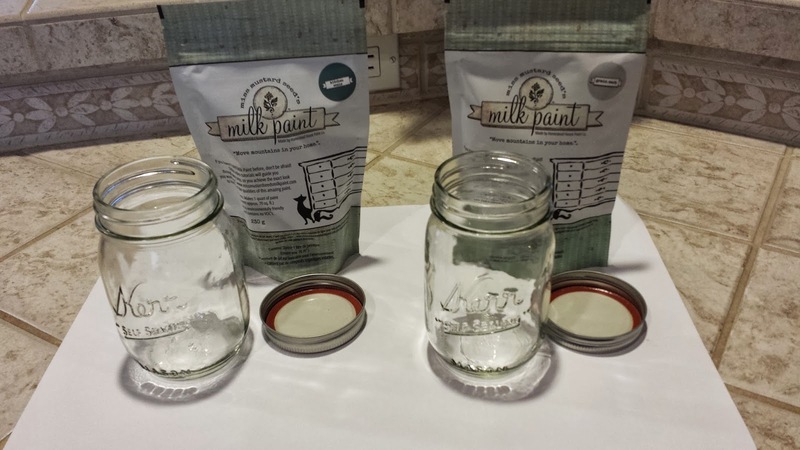 I put equal parts of Kitchen Scale Milk Paint and water in a canning jar, made sure the lid was tight and shook. Really I had a dance party with the jar. Even my daughter Alexis played along. I mixed up Kitchen Scale and Grain Sack (for another project). We had a good time with it. It took 2 coats plus some touch ups to get coverage on the bench. After it was dry I brushed on some hemp oil and called it good. Its still a little oily but I've read that it takes 30 days for it really to cure. Luckily I can use it while its curing. I haven't decided if I want to use 1 or 3 pillows. 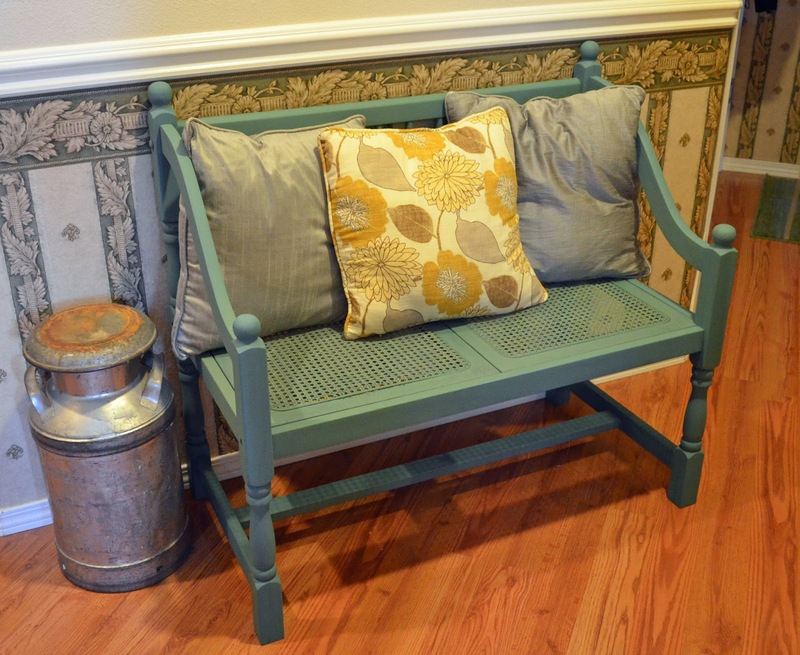 Actually I plan on making a couple small pillows to go with this bench but I haven't finished them yet. 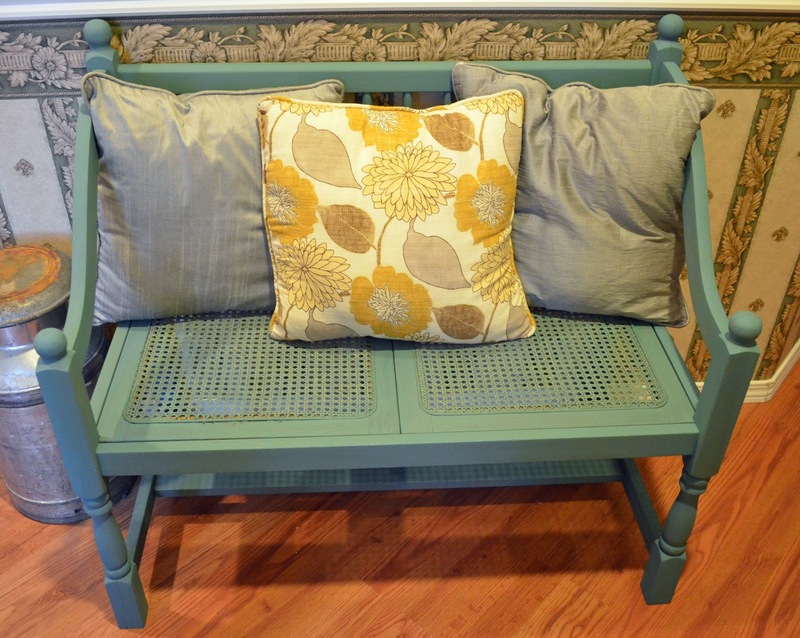 Right now the bench is in our entry way but I think when the weather gets better I'll put it on our front porch. Thank you for stopping by. I hope you enjoyed my wicker seat bench. 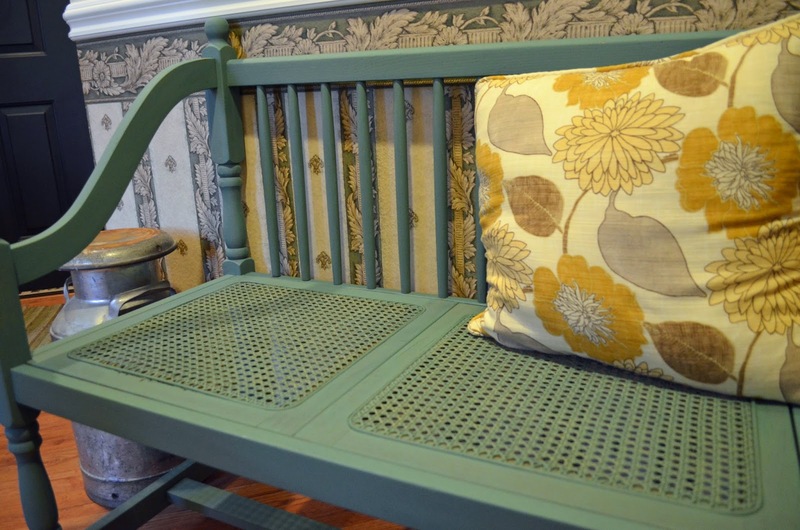 Breathing new life into furniture and decor items that have been discarded. Using chalk paint, milk paint, wood stain and tender-loving care pieces are transformed into useful and beautiful works of art. Offering speciality rentals for weddings and production staging. Look over our inventory and contact us for availability. We look forward to providing you with special furniture and decor items to make your event extraordinary.